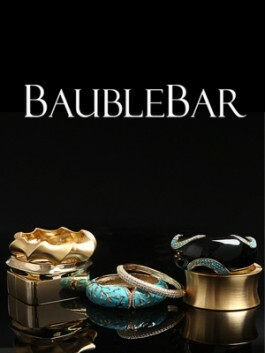 Right now, BaubleBar is featuring their 20 Days of Buried Baubles. Every day through December 20th, they are marking down one “Buried Bauble” (you’ll have to find it with help from their daily clue) to only $10! See today’s clue and find out more here. Warning: With so much sparkle to look at, BaubleBar may become highly addicting!! Next Holiday Gift Guide: Stocking Stuffers! Thanks for the post!!! I run BaubleBar’s social media and wanted you to know how much we appreciate your support! Happy shopping!! HI There- Thanks for the Like on Jaso n Wu pre fall 2012. You have really great pics on your blog.